I gave them a call and had a technician out to my house the same day. Great service and friendly people. Smart ENERGY SYSTEMS offers the range of HVAC services you want. We handle all types of heating and cooling units in Bel-Air, Maryland, and the surrounding areas, including Harford, Baltimore, and Cecil Counties. When you contact us for a low-cost, one-time tune-up and cleaning, one of our professionals will visit your home to assess and clean your heating or air conditioning system (dependent upon the season). This ensures peace of mind that your system is operating correctly and safely. It also gives you a real understanding of the condition of your HVAC system to ensure you won't have any unplanned surprises. 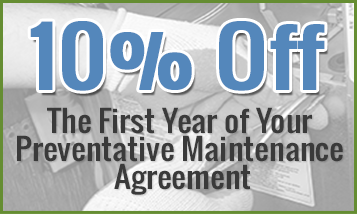 A maintenance agreement is a much more involved tune-up and cleaning, which occurs twice a year (once for the heating season and once for the cooling season). During these visits, several readings will be taken and recorded to monitor your system's operation. They allow us to predict or prevent major repairs, reduce any downtime, keep your system running as efficiently as possible (saving you money on utility costs), and avoid unplanned system replacements. A regularly maintained HVAC system lasts 30% longer on average. Our team is trained to diagnose and repair most heating and cooling systems, regardless of brand or model. We specialize in gas furnaces, oil furnaces, heat pump systems, dual fuel (or hybrid) systems, geothermal, and most air conditioning applications. Our fee to visit your home and diagnose your system is $79; all repairs are clearly written and explained with up-front pricing before any work begins. We use a flat-rate pricing guide to provide competitive and fair prices for everyone. All repairs are backed up by a one-year guarantee. When you are considering replacing your heating and cooling system, our team is here to guide you along the way. We will visit your home at a time that is convenient for you, and learn your needs and wants for your system in terms of humidity, air filtration, and family usage. There are dozens of configurations that will work in any home. That's why our experience ensures that, with our help, you'll choose the system that fits your lifestyle and budget. This is our strong point—we know all the tricks of the trade that only 25-plus years of experience can teach us. The best system isn't always the most expensive. This visit is free with no pressure; you will meet with a consultant who cares about you, your family, and your home. Some families require extra attention when it comes to the quality of the air they breathe. We understand those needs and also know the best solutions for you; and provide and install high-efficiency air filters, whole-home humidifiers and dehumidifiers, as well as germicidal air purifiers when needed. We explain to you what products will and won't work for your situation, which will help you make the best decision for you and your family. In our area, many homes were originally designed with only heating in mind: boiler systems with radiators, electric baseboard heat, and gravity style furnaces are found throughout our service area. We have the know-how to assess your home, design a new ducted system, and install air conditioning; or we can remove your old heating system and replace it with a modern ducted heating and cooling configuration. We will be there for every step of the process; we will visit your home, design a system that meets you and your family's needs, and install custom made ducting fabricated in our facility. If you have a home addition, finished basement, man cave, custom garage, bonus room, or studio that requires heating and cooling, we have the solution for you! We design and install ductless systems that will heat and cool your area efficiently year-round. Ductless systems are the industry standard in many countries around the world and are now becoming mainstream in our area - we are factory-trained to service and install Mitsubishi, Carrier, and Daikin mini-split systems. We are the contractor of choice for many of Maryland's custom new home builders. Our experience and reputation for smart system designs, quality craftsmanship, and customer service keep us busy in our service area. If you are in the market to have a home built, we would be glad to work alongside your builder to design and install a heating and cooling system that will keep you comfortable year-round and keep your utility costs in check!